Rural households in Samoa are being connected to income streams by adding value to local products and marketing via the Internet. Adimaimalaga Tafunai, Executive Director of Women in Business Development Inc (WIBDI), explains how linking indigenous traditions to ICT tools is helping to improve smallholder livelihoods and stem the rural exodus. As an organisation dedicated to strengthening village economies in Samoa, WIBDI has come a long way since its small beginnings in 1990. Learning from experience and mistakes has always been a strong feature of this Pacific NGO, which helps vulnerable rural families to earn a regular income by establishing sustainable agribusinesses in their own communities. Set up with a special focus on indigenous traditions, the organisation uses a blend of traditional and modern technology to develop income earning opportunities for its members and find markets for their products. The formula has proved a winning one, despite some stumbling blocks along the way. In helping villagers to build agribusinesses based on organic products, WIBDI has gradually forged links with a number of high profile regional and global trading partners, including The Body Shop, All Good Organics and C1 Espresso. The organisation’s fortunes, and those of its members, began to improve when it decided to target a wider range of value added products and embrace ICTs to market them. With support from CTA, which helped to raise WIBDI’s profile and offered training and assistance in using ICTs, the Pacific NGO has come of age. 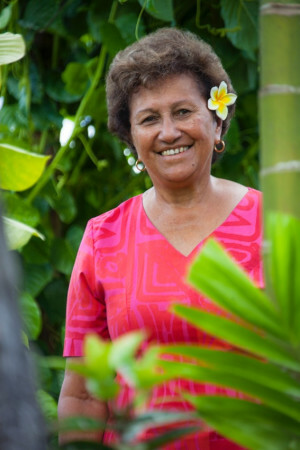 It currently works in 201 Samoan villages, helping to promote organic agricultural enterprises that earn more than €193,000 (WST600,000) for rural families each year. Examples of value added products include a cocoa paste called koko samo, which is processed by the families who farm the cocoa to increase their income. WIBDI supplies cocoa farmers with a mould and collects the processed blocks before packaging, labelling and marketing them. Another top selling product is virgin coconut oil, sourced from local farmers rather, which sells for a premium price compared to unprocessed coconuts. WIBDI’s first encounter with ICTs came with the launch of its organic programme, when staff were issued with tablets to keep accurate data, as a requirement of organic certification. The organisation’s introduction to social media, with a staff member sponsored by CTA to attend a distance-learning course, has also been key. WIBDI has since assumed the role of extending the use of social media to other users in the region, and the organisation now relies heavily on these channels to market its products and spread the word about the work it does. Today, the NGO uses social media platforms to tell stories about people who are managing to carve a sustainable livelihood from rural enterprise. The organisation now has a social media officer to manage the Facebook, Twitter and YouTube accounts. Social media creates a window where potential buyers can connect with local products, which has helped to generate a substantial amount of e-commerce for WIBDI members. The organisation is now poised to launch a CTA-funded app called Farmwallet, a marketing tool to link farmers to markets and vice versa. The app will also link farmers to savings accounts held with WIBDI. One of WIBDI’s programmes, the Organic Warriors Academy, is specifically directed at young people and aims to solve the dual problem of insufficient manpower for family-run organic farms, and large numbers of unemployed youth. The initiative offers training and encourages young people not to join the rural exodus, but to consider organic farming as a respectable job that has a bright future. It is no coincidence that the programme includes an ICT component, teaching young people to use smartphones for mapping their farms and connecting their products to markets.